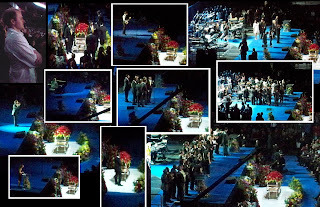 SHANE PRIGMORE: MICHAEL JACKSON MEMORIAL 7-7-2009 , STAPLES CENTER. I WAS REALLY THERE !!!! Must have been such a surreal event. I saw the Paris speech later in the day, had my gut in a knot after hearing her. Until I heard her speak it dawned on me that he was much more down to earth than I think the public ever saw. wow!!! I was so looking forward to your post... thank you for sharing. I'm glad you got to attend, I cant think of anyone else that deserved it more than you. Congratulations. Your work is really great. Best. Thanks for the quick recap, Shane! It's amazing to see it on tv and then get your POV. Awesome. Awesome. Wow Shane!! That's so amazing you were there! Yeah Paris's speech broke my heart. 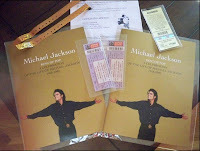 That is pretty cool that you got those tickets Shane since you are such a super fan of MJ. They should of used your drawings you did of him somehow, they were great. I was still thinking till the end that he was not really dead and this was just he start of his world tour, unfortunately he did not pop out in his thriller costume, oh well. Congrats on getting to go though you really did deserve it. Remember geeking out over MJ and Lucas at CalArts? Good times. I'm really happy you got to go. I was stuck at work and had to download the service later. Seriously, I had the hardest time sitting through it it was so emotional. I totally agree, Brooke's speech was the best. I loved Usher singing "Gone Too Soon" (this is where I kinda lost it). Paris taking the stage pushed me over though and, like yourself, I was sobbing like a baby, albeit in front of my monitor at 4am. What an awesomely touching service! I'm dying to get one of the programs but I'm not sure if the ones on Ebay are legit or not. I guess that doesn't really matter. I have his music. And I think what he gave us in his music is how he would have liked us to remember him. I have a quesion regarding a couple of your pieces. Thanks, bud. Great post underneath too and awesome MJ illustrations!! That's really cool man. All the images below are stunning! I remember seeing his claymation videos and the one where he turns into a robot. So weird, yet so awesome. That is pretty cool that you got those tickets Shane since you are such a super fan of MJ. Thanks for sharing this article. Its help in writing articles. Free Proxy Sites for you. Excellent blog with helpful articles. A worth reading article. Expect some more useful articles to read.